Designated by President John F. Kennedy to be observed annually on May 15th, tomorrow is Peace Officers Memorial Day. The Presidential proclamation also designates the week during which that date falls each year as National Police Week. 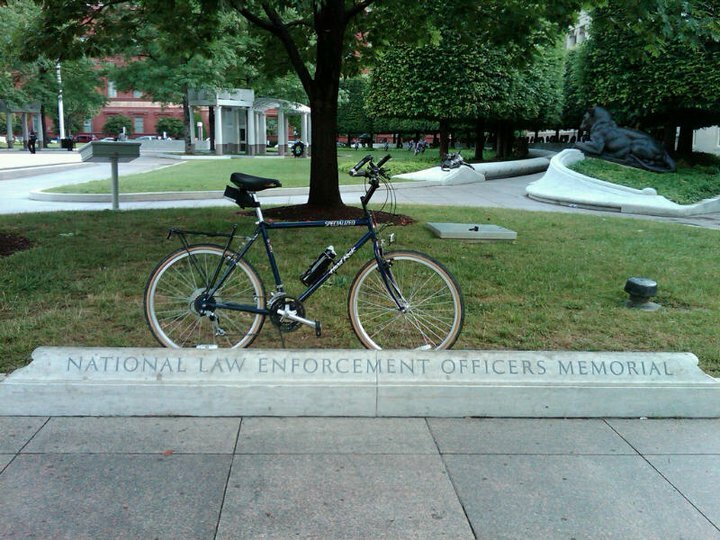 So in observance of this, today I rode by the National Law Enforcement Officers Memorial, which is located in 400 block of E Street (MAP) in northwest D.C.’s Judiciary Square neighborhood. 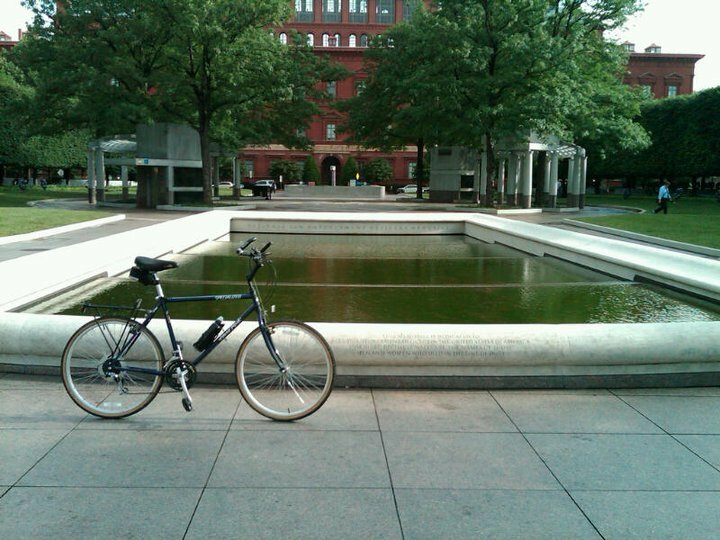 Designed by architect Davis Buckley, the Memorial features a reflecting pool which is surrounded by walkways on either side of a three-acre park. Along the walkways are the walls on which are inscribed the names of the fallen law enforcement officers which the Memorial honors. 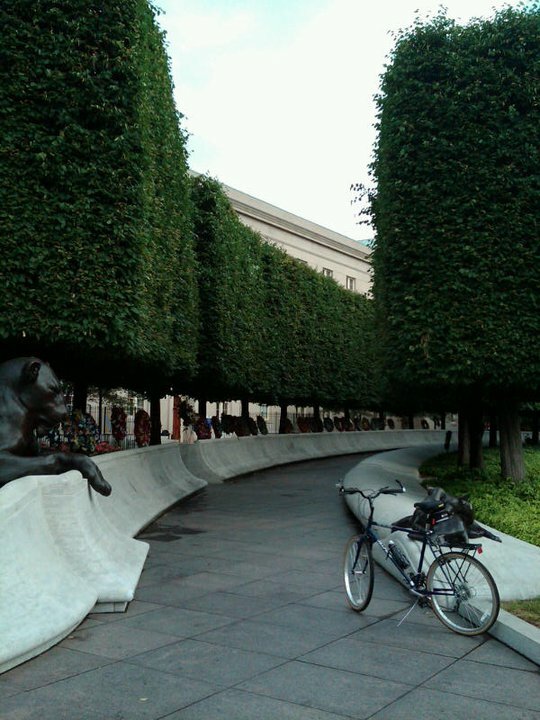 Unlike many of the other memorials in the city, the National Law Enforcement Officers Memorial is ever-changing. That is because new names of fallen officers are added to the monument each spring, in conjunction with National Police Week. At the time it was dedicated, the names of over 12,000 fallen officers were engraved on the Memorial’s walls. Currently, there are 20,267 names on the Memorial, which in addition to local law enforcement officers also includes 1,092 Federal officers, as well as 633 correctional officers and 34 military law enforcement officers. These numbers include 280 female officers. There will be 117 more names being added to honor the officers who died in the line of duty in 2014. Sadly, this is a nine percent increase from 2013, when 107 officers were killed. 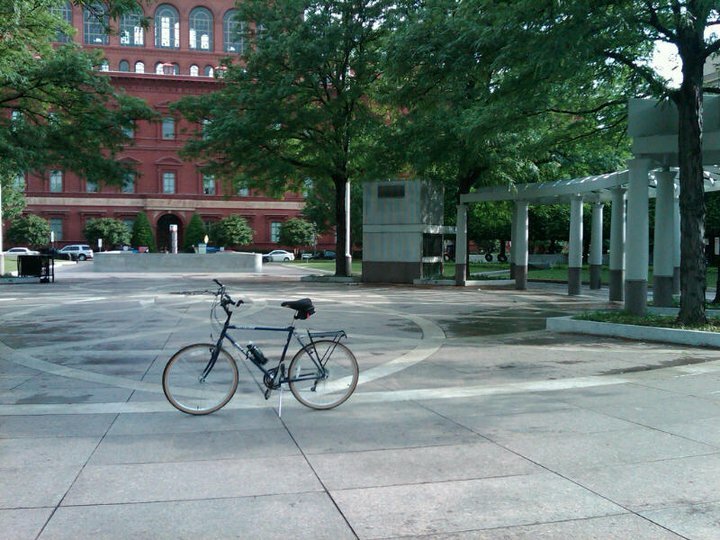 Although the National Law Enforcement Officers Memorial sits on Federal land, it was constructed and is maintained with private funds, not taxpayer dollars. 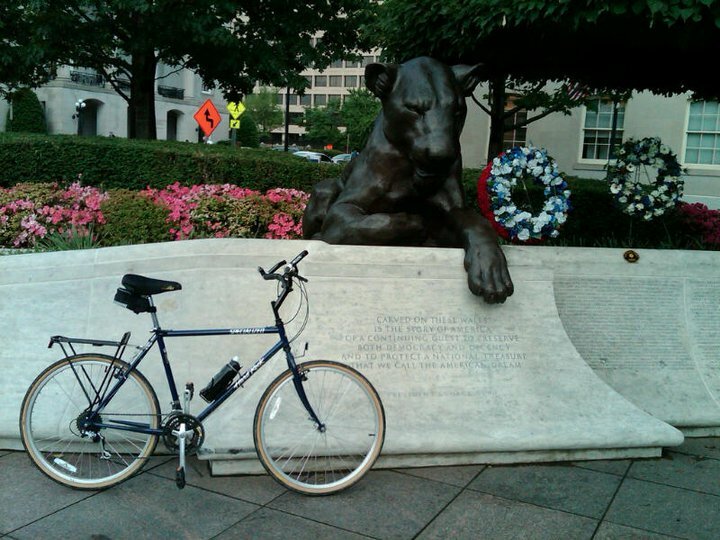 To learn even more about the memorial and the organization that maintains it, please visit the web site for The National Law Enforcement Officers Memorial Fund. And since the fund relies on the generosity of individuals, organizations and corporations to maintain the memorial and carry out the work of honoring and remembering our countey’s law enforcement heroes, please consider making a donation. Please also take a moment before the end of National Police Week to remember all of the Federal, state and local law enforcement officers who have made the ultimate sacrifice for the safety and protection of our nation, as well as the more than 900,000 sworn law enforcement officers currently serving throughout this country.